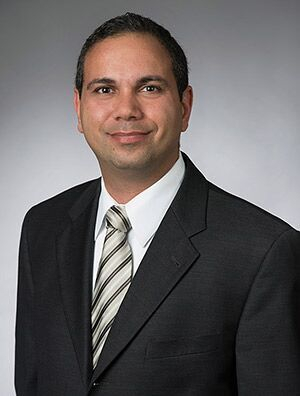 Peter F. Asaad focuses his practice on immigration law and is a member of the firm’s Labor & Employment Practice Group. Mr. Asaad has been recognized by the American Bar Association (ABA) “as one of the nation’s leading litigators” in the field of immigration law and by the American Bar Foundation (ABF) as a top lawyer in the field among the “top one-third of one percent” of the lawyers in Washington, DC. He is ranked by AVVO with a 10/10, listed as a top Corporate Immigration Lawyer by Who’s Who, and ranked a top rated AV lawyer by Martindale-Hubbell. He has also been recognized among Washingtonian Magazine’s “Top Lawyers” in immigration law since 2011. Mr. Asaad focuses on representing corporate clients and individuals on all business-related and employment-based visa matters including, H-1B, L-1, E-1/2, J-1, O-1, PERM, EB-2, EB-3, Adjustment of Status, consular processing and other matters. Working with HR professionals and in-house counsel, Mr. Asaad represents U.S. companies and multinational corporations in helping manage their employees’ employment eligibility needs and develop effective streamlined immigration and compliance programs. He is highly knowledgeable in the needs of immigrant entrepreneurs, start-ups, and foreign investors in creating U.S. subsidiaries and affiliates as well as new U.S. businesses. He works closely with individuals to create a pathway toward eligibility and approval for permanent residence under the National Interest Waiver (NIW) and Extraordinary Ability (EB-1) categories. He has additional experience in advising individuals with employment and family-based immigration, asylum, deportation, and other immigration matters. Mr. Asaad is extremely knowledgeable in matters involving foreign entrepreneurs and is the architect of the IN2NYC program and Special Counsel to New York City. On behalf of the New York City Economic Development Corporation (NYCEDC), in partnership with the City University of New York (CUNY), he developed and launched IN2NYC, the first municipal visa program in the nation designed to help international entrepreneurs create jobs in the United States. Under his guidance, IN2NYC will help up to 80 selected entrepreneurs gain access to the visas they need to grow their businesses in New York City, creating more than 700 jobs for New Yorkers in the first three years alone. This program advances the de Blasio administration’s goals of encouraging entrepreneurship and supporting international partnerships to build a diverse and inclusive economy for New Yorkers in every borough. Mr. Asaad serves as Innovation Council Member of FWD.us, an initiative led by principal Facebook founder Mark Zuckerberg, primarily supported and funded by Silicon Valley venture capital venture firms in the business and tech community. As an Innovation Council Member of FWD.us, Mr. Asaad provides leadership on efforts to fix and modernize our legal immigration system to ensure American businesses have access to the world's top talents and ensure an environment that enables entrepreneurs and start-ups to flourish. Mr. Asaad serves as an Adjunct Professor of Law at American University, Washington College of Law, where he teaches and develops an advanced course on business immigration. Mr. Asaad is the past president of the American Immigration Lawyers Association (AILA), DC Chapter, where he furthered the education needs of over 900 immigration lawyers. Prior to holding this position, Mr. Asaad served as Co-Chair of the American Bar Association (ABA) Immigration Litigation Committee for several years and served as Chair of the DC Bar Immigration & Human Rights Committee.